nopCommerce is a leading open source shopping cart technology which enables users to create and maintain an online store with ease. 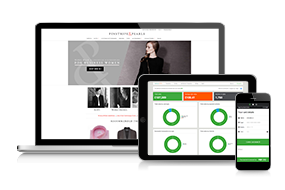 There’s an almost endless list of fantastic e-commerce tools including multi-store support, responsive design for mobiles, one-page checkouts and unlimited product listings. nopCommerce is free to download thanks to its open source foundations and includes step-by-step instructions to help you get set up. Like many open source solutions, new technology and plug-ins are being created by the web developer community. There’s a brilliant Sage Pay plug-in available which will help your eShop to securely accept and process payments. nopCommerce is free to download and use making it accessible for businesses of all sizes. In downloading nopCommerce you will have hundreds of tools and plug-ins at your fingertips including everything from email marketing and inventory tracking through to global extensions and add ons. Every eShop requires a payment service provider to securely handle all online payments and installing the Sage Pay plug-in will ensure you can do this quickly and easily. Appnova are passionate about helping businesses to go digital. To date, they’ve helped businesses to sell online, re-design their website, run social media campaigns, and transform digital marketing strategies. Appnova have been working with Sage Pay since 2012 and created a Sage Pay plug-in using our server integration method which works seamlessly with nopCommerce. Ninvoice are great believers in reducing processes and paperwork which is why they’ve worked hard to create fuss-free software solutions. 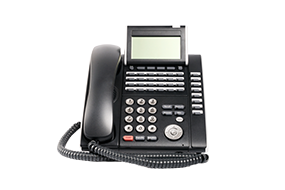 Their technology is aimed at small businesses for which the Ninvoice Sage Pay plug-in perfectly suited. The fully functioning plug-in uses Sage Pay’s direct integration method and offers full payment options such as 3D secure, free fraud screening and multi-store support, within nopCommerce. Microlite Software is an independent UK business that specialises in quality software solutions for the e-commerce industry. Services including web design, website development, SEO support, hosting and more. Founded in 2012, Microlite Software swiftly became a Sage Pay partner. 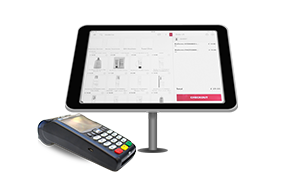 The nopCommerce solution from Microlite works seamlessly with Sage Pay and has been updated from an earlier plug-in from Appnova.